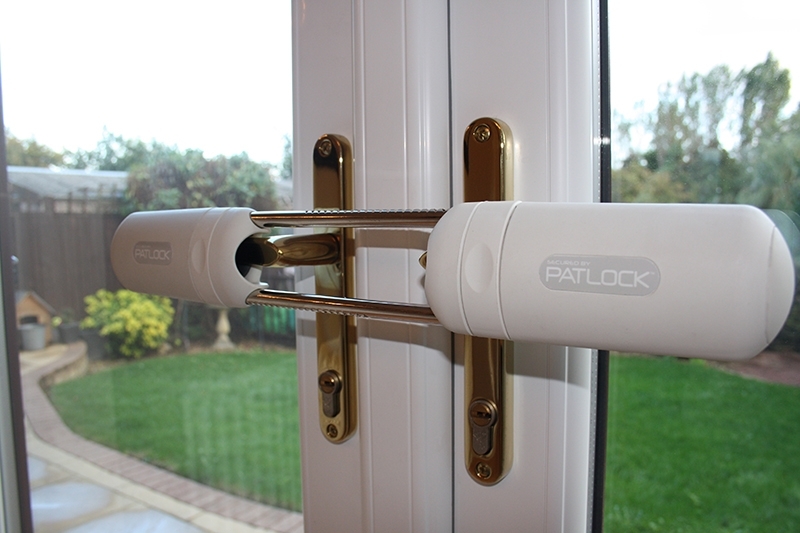 New locking device for double patio and French doors is now available from locktrader.co.uk, Patlock is a new security product that has been designed to offer extra protection to double external doors and reduce the risk of a force entry via cylinder lock bumping, snapping or picking. Patlock is supplied with 2 replacement spindles that use an internal spring clip that engages with grooves on the spindle, this spring clip stop the spindle from being removed from the outside, this would render the Patlock useless. Once the new spindles have been fitted, an easy task for any home DIYer, the patio lock is then placed over each of the two handles, the two locking pins insert into the opposite lock body and securely attach to each other, to remove the lock a button is pushed on each lock body, this allows the lock to be fully removed.